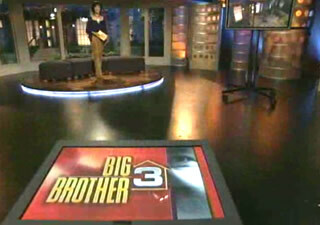 There are 2 aspects to Big Brother, 1) Live show which CBS edits 3 times a week and 2) 24/7 live feeds via the internet which are live blogged by onlinebigbrother. CBS’ main focus is the live show, they compress days of live feed footage into a 40 minute show. CBS blocks the Feeds during competitions, Diary Room sessions and the Thursday live eviction. The Live Feeds show you all the alliances as they form, the mind games, uncensored activities and essentially all aspects of game Strategy. Even though the TV broadcasted can sometimes be heavily edited it is still fun to watch. The Diary Room sessions and the HOH competitions are a blast. onlinebigbrother youtube account features seasons of Big Brother. One episode per video making re-watching the game easy. If you want to view select Big Brother Videos from the live feeds you’ll need to purchase a superpass live feed account which will enable you to “flashback” the last 2 season of BB. BB10 had 29 episodes and 14 houseguests.